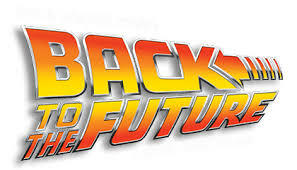 We are hosting a Back To The Future Dance! Marty Mcfly would be proud! We have reserved the entire Odyssey Skate Center for our dance floor (no roller skating, just dancing). We will have both 1950's AND 1980's photo backdrops. ATTIRE: Students may choose which theme (1950's or 1980's) to choose for their attire. Modesty will be required of all attendees. We shouldn't see anyone's undergarments (or parts of the body covered by underwear). No backless attire, no cleavage, no midriff, and no leg above the knees should be showing. Parents are, of course, welcome to chaperone! PARTICIPATION: This event is open to ALL High School Homeschoolers from ANY cover school (and up to two guests - from any school). This is a High School (grades 9-12) dance. NO students (or guests) enrolled in less than 8th grade are allowed. Don't forget to SHARE this with your homeschool friends! You will also want to "Subscribe to Events" on the HOPE Christian Academy Facebook page to ensure you receive all updates for this event.